Social media is an inherently visual medium. A recent study found that users are more likely to engage with brands if they post pictures and videos than any other media. You may think you lack the skills, budget and resources needed to design stunning social posts at scale. However, thanks to a hoard of helpful tools, it's easy to create the posts you admire on social with minimal investment of time and money. Here's a breakdown of our favourite tools for curating a beautiful social feed in no time. A governing principle for success on social media is to show not tell. That sounds harder than it is, especially if you already have written content that can easily be re-purposed for social. We don't mean posting screenshots of your blog posts or linking to them in captions. The best way to easily turn blog posts into social-friendly, visually engaging posts is by turning them into bite-sized infographics. Infogr.am is our tool of choice here for it's ease of use, high picture quality and huge library of templates. 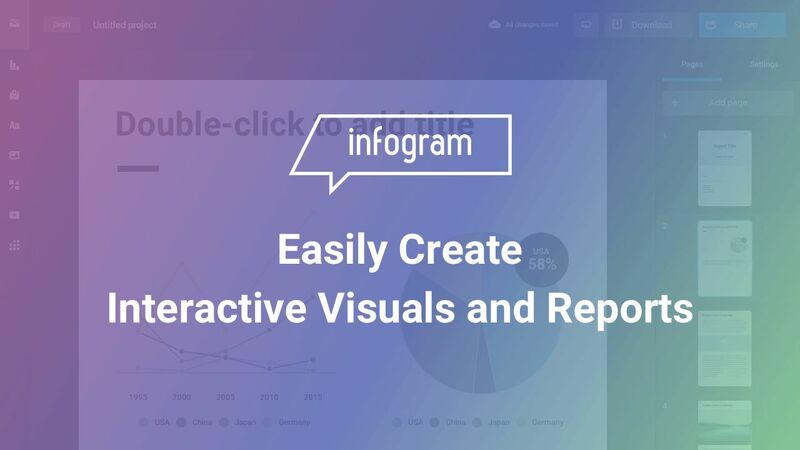 Even a design novice can create stunning posts using Infogr.am's range of typography, colours and graphical element options (including charts, symbols, maps and shapes). Biteable for creating motion infographics. Easel.ly for allowing you to use the editor without having to sign up for an account. No social media article is ever complete without the mention of Canva. It's the go-to design tool for all design novices, and with good reason. 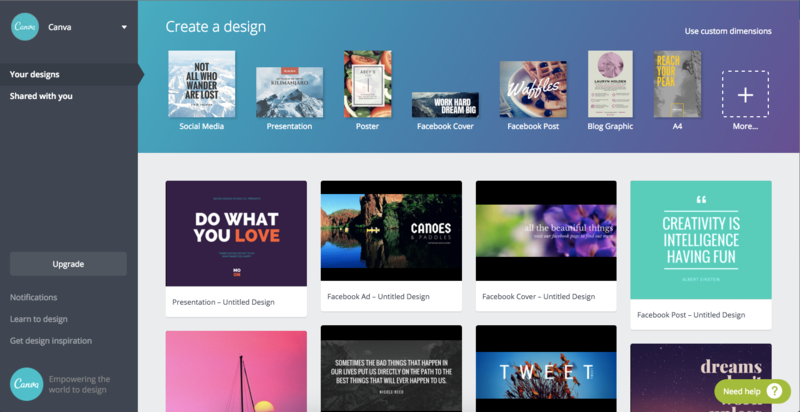 Canva has a rich asset library and 300,000+ professional templates that are ready to customise and share on social. With it's flexibility and versatility, it can easily be described as an Adobe Photoshop for novices. 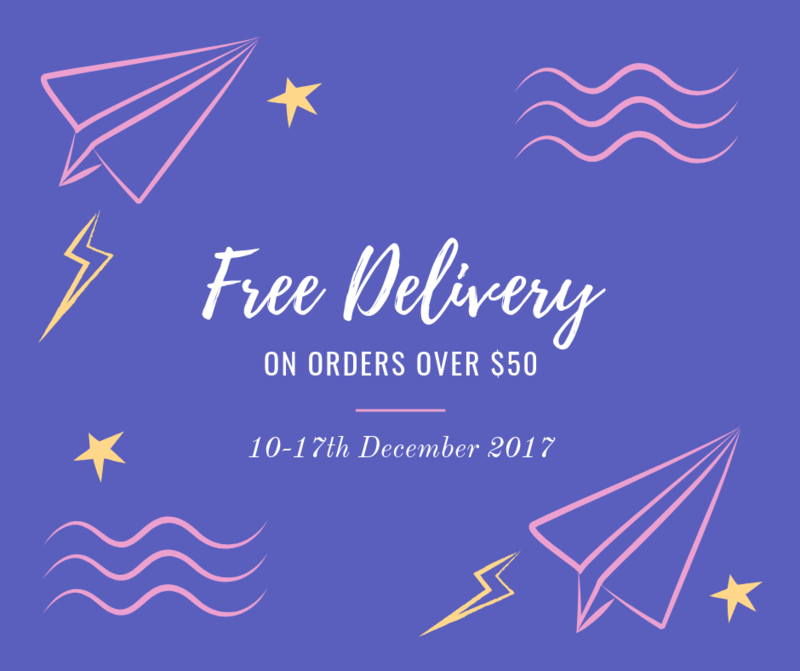 You can create unique images using Canva's photo library, add typography, icons or graphic elements to your images, create charts and even upload your own graphics - the possibilities are endless. Pexels is a lifesaver for anyone with limited access to brand assets or photographers. 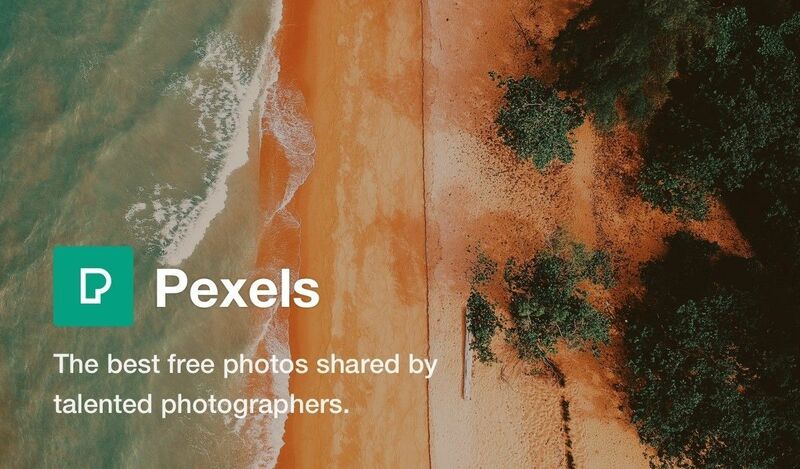 With Pexels, you can access thousands of free images and videos to use as backdrops for your social media posts. The best part? The images are far from being the generic Stock images you might be accustomed to seeing on websites for elaborate pyramid schemes. Pexels receives its content from real, talents photographers, ensuring a great level of originality and variety. Placeit is hands down the easiest way to create brand assets and mockups. In minutes, you can create mockups of your website or app within an iPhone or desktop or design brand t-shirts to showcase your company culture on social media. Best for: Customising your posts with symbols, icons and clip art. Don't have a graphic designer of your own? No stress. The Noun Project has a huge icon library curated by graphic designers from all around the world. The platform is dedicated to providing beautiful, modern symbols for every noun in the English language. With more than a million icons ready to be downloaded, you can customise these to change colours, rotation and background. The Noun Project's assets can also make for beautiful Instagram Story Highlight icons. Good design is a pivotal factor for success on social media. The only thing that outranks it in importance is interaction. 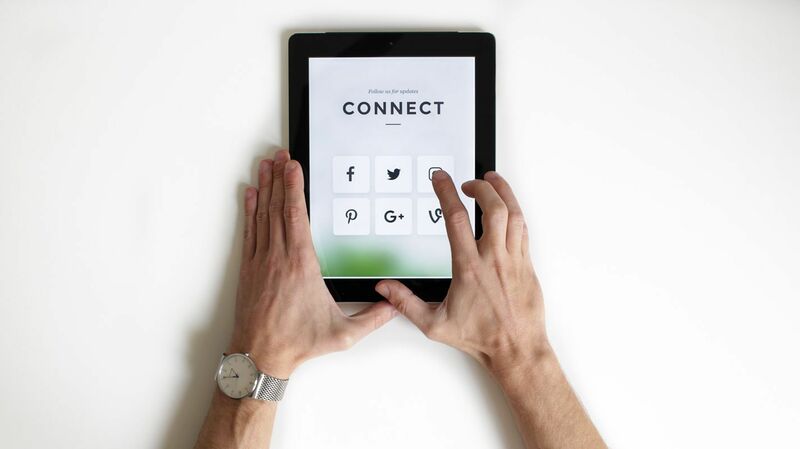 With users facing sensory overload on social platforms everyday, an easy tactic that can really help you stand out is interactive content that engages your users on a psychological level. Think about the infamous quizzes that Buzzfeed promotes on Facebook. They don't go viral because the content of those quizzes is of particularly high-quality; they're viral because they help Buzzfeed engage with their audience by asking them the questions they want to answer. Asking questions on social media is proven to boost likes, shares and comments, and the best part is that it's a really easy tactic to implement at scale. With Paperform, you can create a quiz or questionnaire to share on your social channels in minutes. Easy to use and fully customisable, it's the perfect tool for design novices to create beautiful social content. Try Paperform for free for 14 days (no CC required). Define your brand and voice. Once you have a strong understanding of your brand and the kind of content you want to post, you'll have an easier time separating your ideas into 'yes' and 'no' piles. Settle on colour schemes and typography. 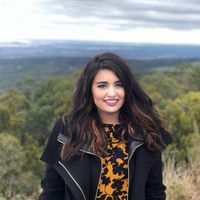 Once you define a colour palette and typography set for your profiles, you can create templates of your own that can expedite your post creation process. By standardising your branding across all channels, you won't end up spending deciding on the right colours or fonts for your posts. Create a hitlist of profiles for inspiration. Again, this will help you solidify a direction for your social content and make it easier for you to derive inspiration for content ideas and angles. Alternate between fresh and re-posted content. Did you know that 80% of pins on Pinterest are re-pins? That means only 20% of content on the platform is original, while the rest is reposted content that others have discovered. It's good to be on both ends of the spectrum. While original content will help you attract a fanbase of followers, re-posted content will help you maintain a consistent posting schedule with less time invested. And there you have it. You're all equipped to charge into the social world with your newly-found design skills. Keep in mind that most people who succeed on social media aren't designers; it's the right tools and attitude that will take you everywhere.